It’s a matter of statistics that for every marriage taking place this year, a little over half of them will end in divorce. Sometimes a couple just grows apart. Other times, both parties realize they have made a mistake. And, in some cases, the actions (or misdeeds) of one spouse make it impossible for the other spouse to continue in the marriage. Regardless of the reasons, having a skilled family law attorney at your side will help protect your rights and ensure a fair and equitable split. If you are thinking about a divorce, a Petition to Divorce will need to be filed on your behalf with the court. Along with this, there will need to be a domestic relations financial affidavit, child support worksheets (if applicable) and more. Even if both parties are approaching the divorce in an amicable manner (uncontested), it’s important to have all of the paperwork filed properly with the court. And in cases of a potential fight (contested), it’s even more important. Although you can file for divorce pro se (represent yourself), it would be beneficial for you to seek advice from an experienced lawyer to help you though this stressful time. Many pro se divorce cases will leave important factors out and a judge will send you home without a final judgment and decree for divorce. 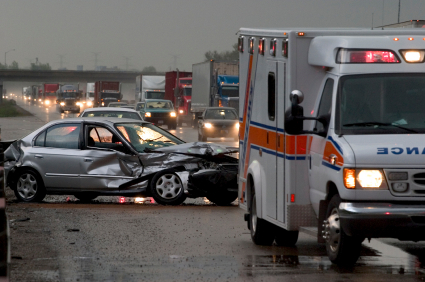 In order to avoid this, you should contact the attorneys of Blake Scoggins Law. We have handled numerous divorce cases, dealing in a variety of scenarios. In Bartow County, Georgia, the Cherokee Judicial Circuit requires soon-to-be ex-spouses, to attend mediation prior to final settlement or judgment. Most of the time, there will be a temporary hearing on certain issues, a mediation, then a final hearing. If a case settles at mediation or prior to mediation, an order may be presented to the presiding judge for their signature. If not, then a hearing will need to be held. Whichever the path, we can help you through this entire process. Our goal is to make sure you are treated fairly and judiciously within the confines of the law. Give us a call today for a free initial consultation. In need of an attorney for a juvenile matter? One of our practice areas at Blake Scoggins Law, LLC, is centered around the practice of Juvenile Law. If your minor child has charges against them, or the Department of Family and Children Services has taken your children into their custody (or threatening to), call us today in order to protect your rights and the rights of your children. There are some specific areas that fall under the Juvenile Justice system and we have the experience you need in each of them. A Child In Need of Services (“CHINS”), is a child that has been adjudicated to be in need of care, guidance, counseling, structure, supervision, treatment or rehabilitation. To name a few, this can also include children who have missed more than the allotted amount of absences from school; a child that habitually disobeys their parents commands and is ungovernable; or even a runaway child. A “Delinquent Act”, defined by O.C.G.A. § 15-11-2(19), is an act committed by a child that is designated as a crime by the laws of the state of Georgia, or the laws of another state if the act occurred in that state. Either one of these could potentially lead to your child being placed in the Youth Detention Center or YDC. You will need an attorney to help protect your rights as a parent and your child’s rights. A Dependency action can be a long and tedious process in the state of Georgia. Once a child is taken into custody of the Department of Family and Children’s Services (“DFACS”), within 72 hours, the Juvenile Court must have a Preliminary Protective Hearing (“PPH”). A PPH is simply a probable cause hearing to determine if there is enough evidence to label the children dependent. A Dependent child is one who has been “abused or neglected”; has been placed for care or adoption in violation of the law; or is without his or her parent, guardian, or legal custodian under O.C.G.A. § 15-11-2(22). After the PPH, DFACS has five (5) days to file a Dependency Petition. Within ten (10) days after the petition has been filed, there will be an Adjudication Hearing or the “10 Day Hearing”. Then, there will be another hearing within 75 days of the children being taken into care. You will need an experienced attorney to help you navigate through this process to get your kids back. In all of the above instances, we have the legal knowledge you need to navigate the juvenile justice system, all while ensuring the rights of the child are not just upheld, but also championed. We are a firm that is dedicated to giving our clients the best possible outcome during their present situation and we will work hard to achieve that goal. Call us today for a free consultation at 770-877-2258 or come by our downtown Cartersville office located at 324 East Main Street. We appreciate you taking the time to visit our brand new website. While we have tried to give you an accurate understanding of who we are and what we do, please feel free to call anyone at the Blake Scoggins Law Firm for any additional questions you may have. Having a history in personal injury, juvenile law, family law and workers compensation, we are uniquely situated to handle your case. Our law firm strives to protect the interest and rights of each and every person that walks through our doors. We are not afraid to step up to the plate and go to bat for you. There are no guarantees in the law and no lawyer can predict an outcome. 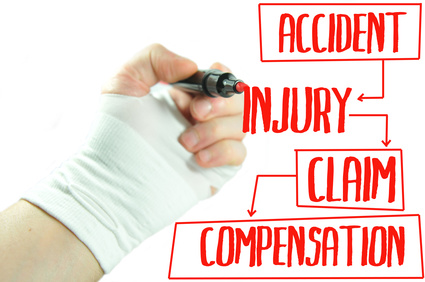 What we can promise you is that we will meet with you in person, thoroughly evaluate your potential claim and give you an honest and realistic assessment of whether you have a viable claim and the potential of such claim. At a minimum, we can provide you with the knowledge you need to determine how to proceed and what would be in your best interest. Should you have any questions about our firm, whether you have a viable potential legal matter that needs to be addressed or have any questions as to whether our firm can be of assistance to you and/or your loved ones, please do not hesitate to call. You will speak with employees, not phone operators, and a lawyer will quickly address your concerns. Thank you again for visiting our website. Contact us today at 770-877-2258 for a free initial consultation.